This book offers clear and direct answers to the questions most frequently asked by students and trainees learning how to talk to clients and extract critical data from them. Its development reflects the old adage that "necessity is the mother of invention." For many years, the editors taught beginning level mental health clinicians. They found, however, no text to be satisfactory--including a number that they themselves were involved in producing. Some were too difficult; some were too simplistic; some were too doctrinaire; still others had missing elements. 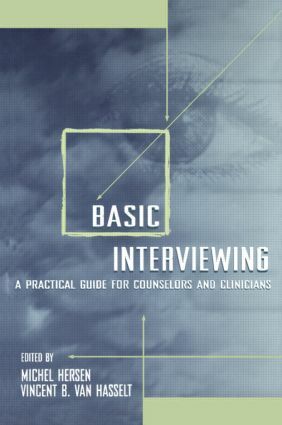 Written in a reader-friendly "how-to" style, the chapters in Basic Interviewing are not weighed down by references. Rather, each contributor suggests readings for students and instructors who wish to pursue questions further.